Concert Review: Creeper in Chicago 02/12/2018 - GENRE IS DEAD! 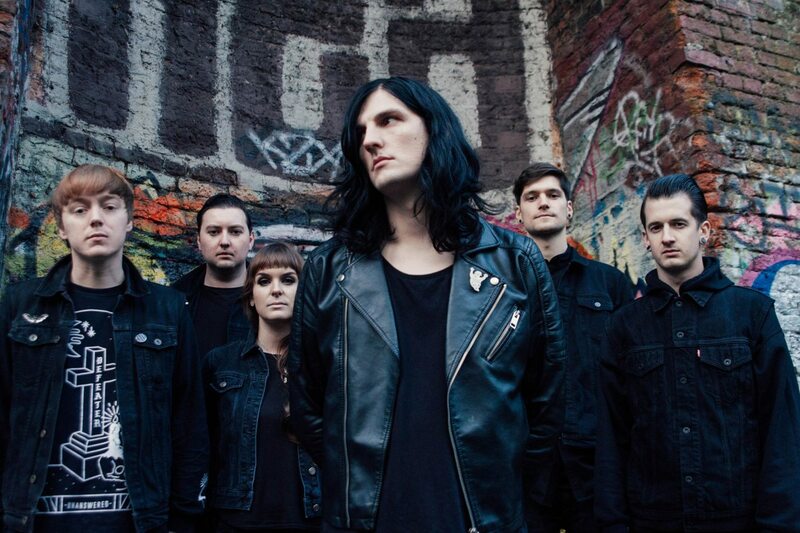 Creeper is Southampton’s best kept secret. And if you didn’t know who they were when you walked in, chances are you walked out as a fan. They opened their set with the fan favorite “Black Rain.” As soon as members walked out on stage, the few fans in the crowd clapped and screamed prepared for what was about to come. Frontman Will Gould wasted no time slaying the song with his boundless energy and intense stage presence. Hannah Greenwood provided sweet backing vocals while sitting behind her keys and Ian Miles shredded away on guitar next to her. When watching Creeper one thing is clear, they demand your attention. You don’t want to miss a second of their set whether it’s seeing Gould yelp and hop around during “Black Mass” or seeing a circle pit open up at his command for “Poison Pens.” While Gould holds most of your attention, Oliver Burdett, Sean Scott, and Dan Bratton along with the others never miss a beat and do the most to pump up the crowd. They’re just so much damn fun to watch on stage. You want to jump, scream, and headbang with them. Not only do they sound great live, they clearly have a good time on stage. Gould was the proper frontman amping up the crowd with sing-a-longs on “Hiding with Boys” followed by lots of arm waving. And when fans took over signing entire choruses from him, he couldn’t help but chuckle and smile. They closed the set with the somber “Misery,” which fans were all too eager to hear. Near the song’s end just about everyone was chanting “misery never goes out of style.” They left the stage leaving fans hungry for more and they gained new fans in the process. You could hear chimes of “They were good!” and “I’ll have to check out their album” all throughout the crowd. Creeper played so hard and with so much passion you’d think they were the main act. This is a band who gives it their all no matter how big the crowd is. They bring the same attitude, energy, and fun found on their debut album to the stage, probably even more so. After such a thrilling set, you’re ready to pledge alliance to their Callous Heart Cult. When you do, they’ll be waiting with open arms.